I’ve been working on the various methods of setting Static IP addresses during Lite Touch deployments and decided to space the articles out over the week. Today we’ll cover the easy ones. If you boot into WinPE and find you don’t have an IP Address there are 2 quick ways to configure one. The first is to use the Welcome wizard pane. If you don’t see this pane then remove the line SkipBDDWelcome=YES from your bootstrap.ini file. 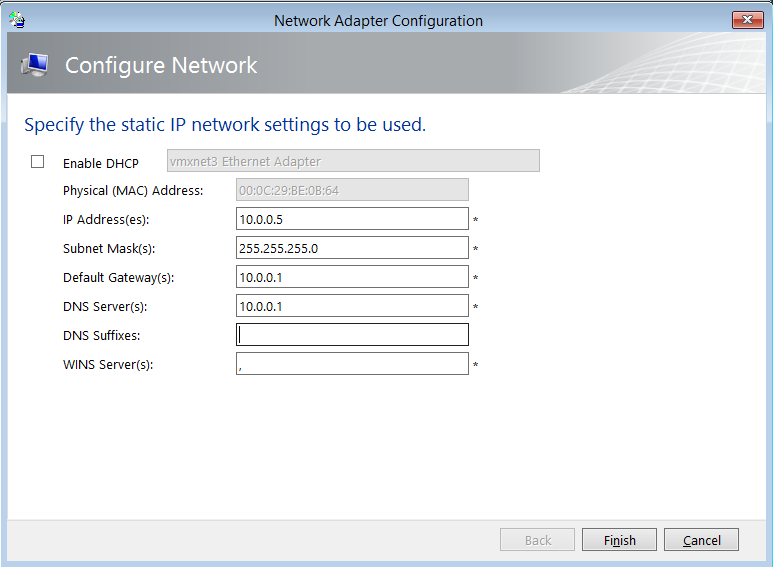 Simply click the Configure with Static IP Address button then a new pane will appear where you can enter the IP details. 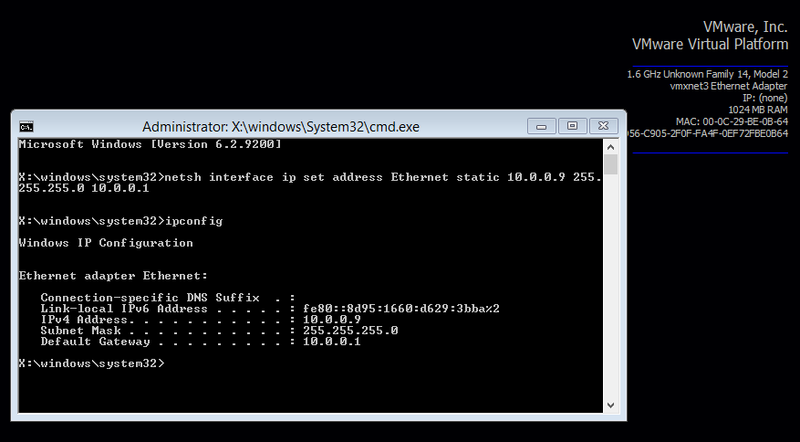 You can also use netsh to set a static IP via a command prompt. In the next post, I’ll explain how to automate a Static IP Address during a bare metal boot. 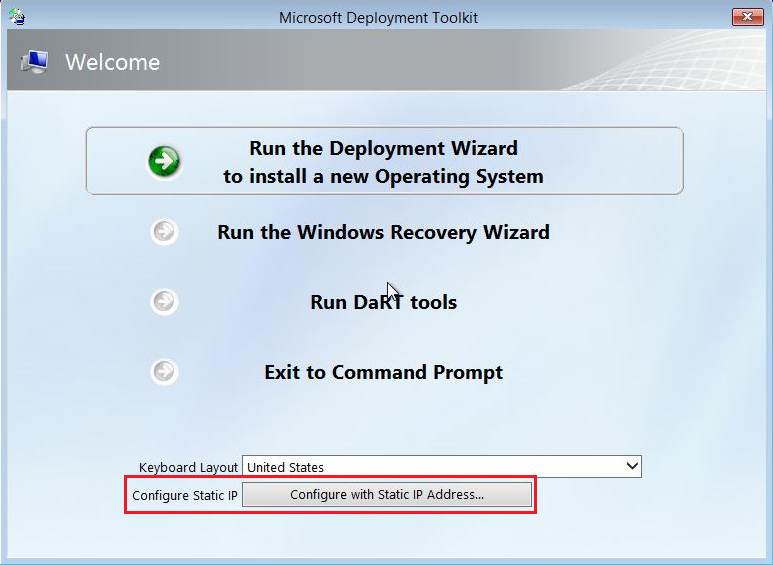 This entry was posted in MDT 2010, MDT 2012 and tagged IP Address, Lite Touch, MDT, Microsoft Deployment Toolkit, WinPE. Bookmark the permalink. Hi, in Windows PE static IP works fine, but after PC boots to Windows, IP adress is not set. Why? I use MDT 2012 update 1 to deploy Windows 7 x86. Because, they’re mutually exclusive. I’ve written posts on most of the different way of handling static IP addresses. Jsut click on the IP tag in the cloud (above). This post should help http://wp.me/p1v18I-o1 . I want the wizard to ask the admin for static IP information and have it pass and configure the nic in Windows so that it can join the domain. We don’t have DHCP in our Production network for security reasons.